Doctor Or Nurse Ready To Take A Blood Sample From Little Girl's Arm Vein With A Vacutainer. 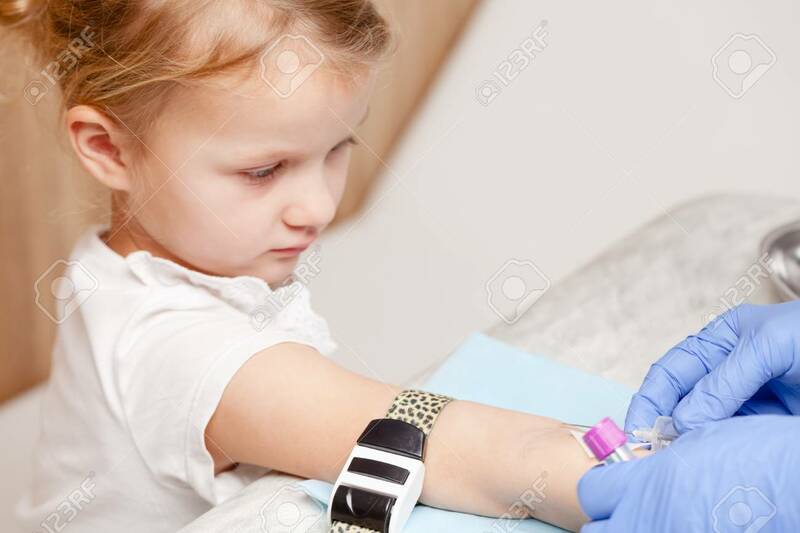 Pediatric Venipuncture Or Venepuncture Procedure. Focus On A Tourniquet Lizenzfreie Fotos, Bilder Und Stock Fotografie. Image 113610913.